Another year, another batch of resolutions to make. We all promise to be nicer, to exercise more, to get angry less, and to give more. But did you include “saving the world” on that list? What do you need to do? Absolutely nothing, except to think twice about buying anything. The next time the temptation strikes you, just ask yourself whether you really need it. If the answer is no, then just sit back, relax, and keep that money in the bank for something else. 2. Bring your own bag. 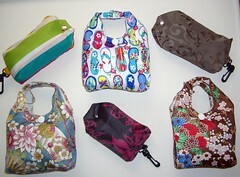 Any bag will do as long as you can easily fold it up and stash it somewhere convenient. Always keep it within reach – in your bag, in your car, in your desk drawer at the office – so it’s easily grabbed when you suddenly find yourself heading to the store. A lot of stores now offer a small discount for bringing your own bag, so you get to save money while saving the Earth! Riding public transportation may seem like a hellish experience, especially if you’ve grown used to the convenience of your own car, but taking public transportation greatly reduces your transportation costs, not to mention your gas use and carbon footprint! To ease into the habit, choose the least frantic day of your week so you don’t stress yourself out. Read the labels and choose organic produce. 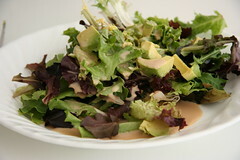 Try bringing your own food to work instead of getting take-out. A simple organic vegetable dish prepared the night before will be healthier for you, for your wallet, and for the environment. 5. Bring your own water. Consider this: a 500-mL bottle of bottled water costs Php 25 in a shopping mall food court. A high-quality reusable water bottle (be it made of BPA-free plastic, stainless steel, or glass) costs between Php 700-1,500 each and you can fill it at home or from the office cooler. 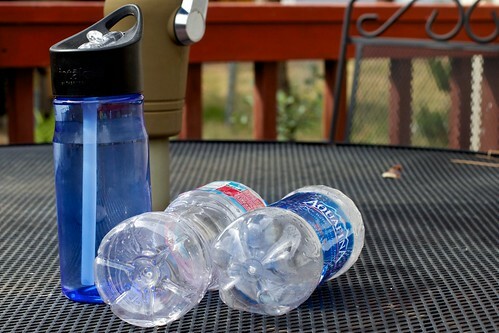 Even if you bring your reusable bottle only 60 days out of the annual 365 (16.4% of the year! ), you prevent 60 disposable plastic bottles from ending up in the trash and save enough money to cover the cost of the reusable bottle. We call this a win! 6. Save the Earth, one coffee tumbler at a time. If you haunt coffee shops the way the Environment girls do (meaning you practically live there), get your coffee in a for-here ceramic mug instead of a disposable paper cup. If your coffee is grab-and-go, invest in a to-go tumbler designed for hot drinks. 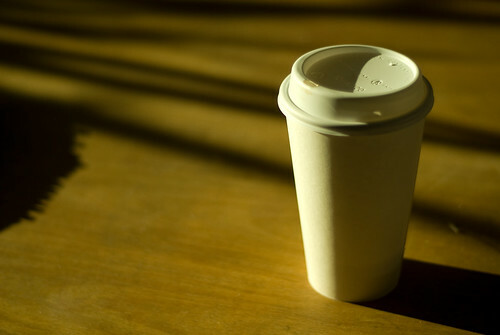 As a bonus, some coffee shops deduct the cost of the paper cup from your bill. If you want to save even more money, brew your own high-quality coffee at home. 7. Make the big switch. 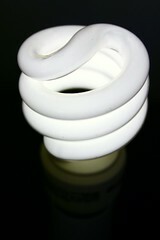 Switch from incandescent bulbs to LED and compact fluorescent lights (CFLs). They might be slightly more expensive in the beginning, but you’ll save money and electricity in the long run. True story: EO Macy’s dad writes down the installation date whenever he installs a new CFL in their house. The last CFL he replaced lasted for five years! Not bad for something that cost Php 300 in 2004. CFL prices have gone down a lot since then, so start switching! 8. Pass on the paper. Buy and use recycled paper (do you really need super white paper? ), think before you click “Print”, and print and/or write on both sides of the paper. If your books are just gathering dust, donate them to library or school instead (but no outdated reference materials please!). 9. Be a vampire slayer. An energy vampire slayer. Did you know that your microwave, washing machine, mobile phone charger, and other appliances turn into energy vampires when you leave them plugged in after using them? Slay these vampires by unplugging them after use. 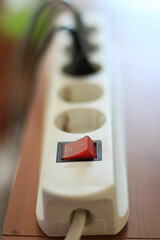 For added convenience, invest in a power strip so you can easily cut off the electricity with just a flick of a switch. Whether it’s your home or your face you’re cleaning, natural products are the way to go. They’re free from the harmful chemicals that may wreak havoc not only on your health but on the environment as well. Bonus: natural products aren’t as expensive as you think they are! Lots of communities and organizations organize clean-up events during environmental awareness days like Earth Day and International Coastal Cleanup Day and they could always use an extra pair of hands. For maximum fun, bring your friends along for the ride. If you’re staying in El Nido Resorts at the time, our cleanup crew will welcome you with open arms. We make cleaning up fun! 12. 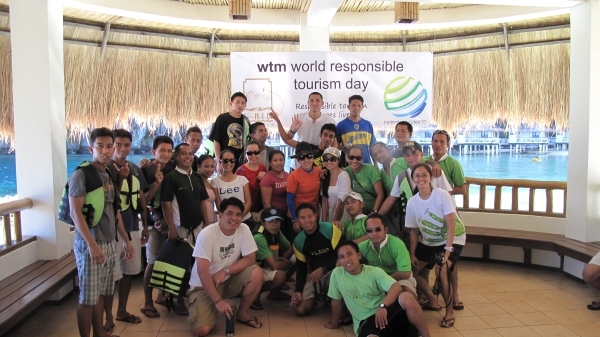 Support responsible tourism operators. Your patronage of responsible tourism operators means more financial and emotional support for their business and projects, such as environmental conservation and education, local community development, and green infrastructure. Previous It’s more fun in El Nido!